The hospitality industry in South Africa is changing, with many specialist bars, such as microbreweries and wine bars, growing in numbers. Whether you own a nightclub, the neighbourhood local, or a brewpub, running a bar suits a social entrepreneur and is not for the faint-hearted. The recent review on liquor and drinking laws in South Africa could have a knock-on effect if you are trying to sell a business in the bar industry. The South African government are clamping down on what they call, ‘drunk driving’; roadside breathalyzer testing is becoming more frequent, which in turn is affecting the bar industry. An international survey found South Africa had the highest number of alcohol-related incidents, at 58%. However, now there are more traffic police to battle the issue of drunk driving and harsher penalties are enforced as a deterrent. On the flipside, the bar industry in South Africa is evolving, with more cocktail bars, and specialist wine bars, sprouting up across the country. Despite growing concerns over health and excessive drinking, alcohol consumption is on the rise, with South Africans consuming 13.6% more alcohol than they were 10 years ago. Income generated by the food and beverages industry increased more than 8% in a year, with bar sales rising at a modest 0.2%. The hotel sector contributed R525.4 million in restaurant and bar sales earlier in the year. Sales of craft alcoholic beverages, such as beer and cider, are also on the rise, along with an increase in the number of microbreweries and distilleries offering products targeted to mid-to high-income consumers. The domestic wine sector has also increased by 7.7% in 2015, however, South Africa remains a beer drinking nation. Beer outperforms other alcoholic drinks by 78% and beer sales total of R52.7 billion. In order to determine a fair and accurate price for your business, it is best to hire a valuation professional with experience in the bar sector. There are a number of different methods for valuing a small business, which includes assets-based, income-based and market-based valuations. Asset-based valuations include the sale of tangible assets such as accounts receivable, furniture and fixtures, equipment, inventory and other pre-paid expenses. 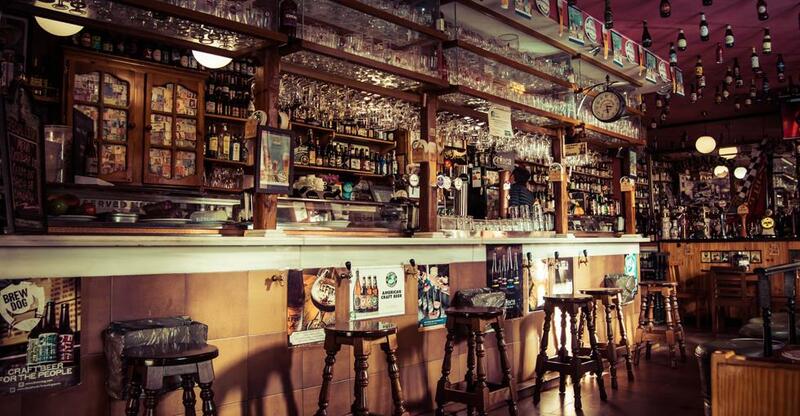 If you own the real estate of the bar, the location will be a major factor in determining the value of the premise. The income-based method determines the value of a business based on sales and income statements. Some evaluators may prefer to use the income figures before depreciation, interest and tax. Market-based valuations take into account the value of similar bar businesses in the area; a valuation professional who has experience in the industry will review other sales in the area to determine an accurate and fair price for your business. As the saying goes, ‘fail to prepare, prepare to fail’. Make sure your business looks its best and all your financial statements are in order before you put your business on the market. Potential buyers may ask to review up to five years of financial statements, which includes profit-and-loss statements, balance sheets and tax returns; you should also make sure all your accounts payables are up-to-date. If you have any issues regarding employees, management, or any legal or council-related disputes, now is the time to resolve them. Buyers will feel more confident about buying a business that runs smoothly and has no hidden surprises. Make sure all the fixtures and fittings in the bar are in good condition, this includes behind the bar too, and bathrooms, staff areas and the signage on the front of your premises. If you need to make any repairs, do this before you list your business. It is also a good idea to document your inventory and organise your legal paperwork, such as licenses, property leases and insurance documents. If you’ve fallen behind on your paperwork and filing now is the time to catch up, before your business goes on the market. When you’re selling a business, discretion is key. If word gets out that your bar is on the market, it could have an adverse effect on your sales and the relationship with your employees. A business broker can handle the selling procedure efficiently, yet confidentially. Then, when the time is right, you can explain to your employees the situation so they are prepared for the eventual changing of hands. Many business brokers will have built up a client list of potential buyers over their professional career. Make sure you do your research before hiring a broker, some may have more experience and higher success rates in the bar industry, which is important to look out for. Although hiring a broker to handle the sale of your business is highly advisable, you – the owner – know the business more than anyone else. Liaise with your broker and offer as much useful information as possible to help create a successful marketing strategy to ensure you attract more interested parties.